Three friends believe they’ve escaped the evil clutches haunting them since childhood until a stranger brings revenge full circle. A survivor of an abusive childhood, Kit Griffin cherishes her new life of freedom. But when her tyrannical mother is found brutally murdered on Mother’s Day, the horrors of her past threaten to destroy her. 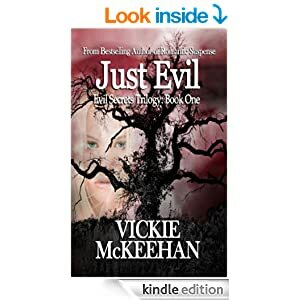 When she becomes the prime suspect, when the body count continues to rise, Kit must convince the police there’s a cold-blooded killer on the loose, a killer working his way down a mysterious list of victims all connected to her mother’s evil–a killer who has Kit Griffin in his sights.